Another week, another top five of the CQ’s best events! We are well into festival season now, and another week brings yet another fresh festival celebrating the arts in this fantastic city of ours. As well as the Belfast Film Festival, there is mobile movie making, midweek magic and much, much more. Are you a fan of the flourish, a sucker for sleight of hand or dazzled by the discovery of the disappeared? 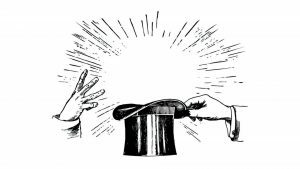 Seedhead Arts and the Black Box have teamed up to bring you an evening of close up and performance magic at the Midweek Magic Club. Each show involves four local magicians trying out new and innovative material in the intimate surrounds of the Black Box cafe, and in between sets the performers will show off their latest close up skills around the tables of the venue. guests, special events and virtual reality work. Beanbag Cinema and The Black Box are the proud hosts of the festival’s Cathedral Quarter films – keep an eye on our site for a run-down of all the CQ films you can enjoy at this year’s festival. 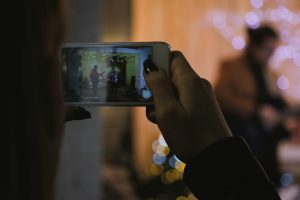 Led by Niamh MacAuley of Purple Dot Media, this workshop explores movie making and learning how to apply professional film making skills to your own business marketing by using only your own smartphone. The workshop covers useful tips and practical filming techniques. Free websites & editing programs. Get your blue jumpers out of the back of the wardrobe. That’s right, people! 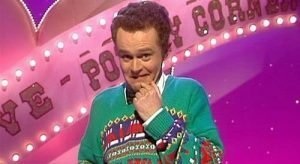 It’s the Black Box’s Annual Father Ted Quiz! So if you know your Bishop Jordans from your Bishop Fackses, Your Chairman Maos from your Maoris, or your Windy Shepherd Hendersons from your Windy Shepherd Hendersons, come on down to the Black Box on Friday the 12th of April. Unless you’ve a Donkey Derby to attend or something. Hanumanasana (or splits pose) is the queen of a hips and hamstrings session! However, for some, it’s simply not possible. Not only will attendees discover the story of Hanuman and the representation of this pose on an emotional and physical level but at this workshop, they’ll discuss and break down the anatomy of the pose to determine where your current practice is at and whether it’s at all possible for you to reach this final goal. 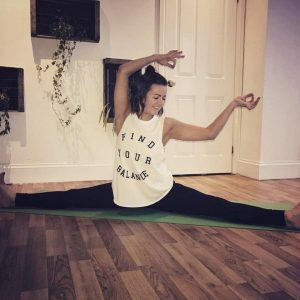 Moving through a sweaty, flowing, all levels practice they will look to move in a way that lengthens and strengthens through the hips and hamstrings whilst working through all levels and variations of this elusive pose.